Domino’s is pushing its new one-touch ‘Easy Order’ app update in the UK with the launch of a social competition to get your hands on a real-life pizza ordering button for your home. The pizza box-styled button links to your phone via Bluetooth and makes ordering your favourite pizza even easier than using the app. 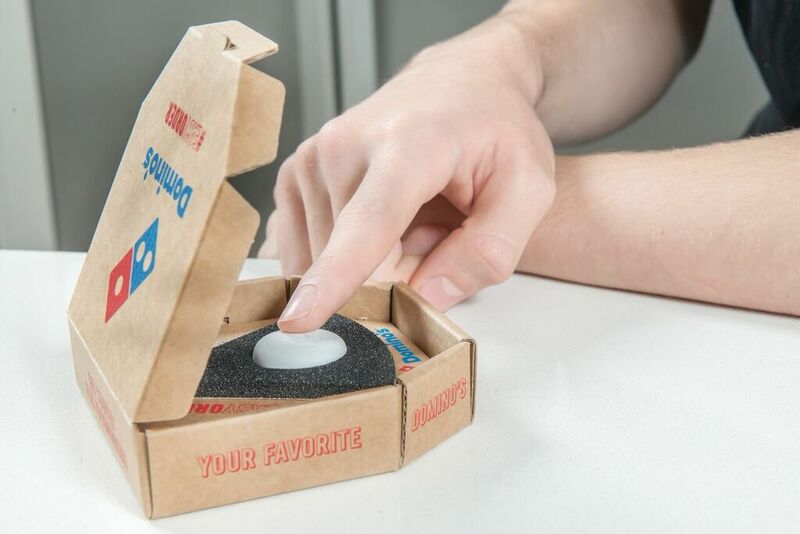 Although not unlike Amazon’s Dash service for quickly buying household items, the team may well have been inspired by the PiePal Raspberry Pi hack from iStrategyLabs sketched out back in 2013, which was designed as an emergency Domino’s ordering button. The latest device has been created by Stockholm-based IoT startup FLIC, which usually provides smart home hardware and software. It’s not clear when the competition for the IoT pizza buttons will go live, Domino’s says “watch this space” in late November. Your favourite pizza. With only a minor extension of your chubby excuse for an arm. What have we become?